The annual meeting of the American Association of Physical Anthropologists held at the end of March in Cleveland, Ohio, was eagerly awaited by those with an interest in human origins as it would be here that Bence Viola, a Canadian paleoanthropologist with the University of Toronto, would reveal details of the discovery of the first ever fragment of a Denisovan skull. As it turned out, there were in fact seven major presentations that offered new insights into the enigmatic world of the Denisovans, whose existence was first confirmed when a finger bone found in Siberia’s Denisova Cave was determined to belong to a previously unknown type of archaic human . Subsequent genetic studies revealed that a number of current-day populations in southern and eastern Eurasia, as well as in Australia, Melanesia, and Oceania, possess anything up to 3-5 percent ancestry deriving from the Denisovans, showing the widespread distribution prior to their assumed disappearance around 45,000 to 40,000 years ago. Bence’s presentation on the Denisovan skull , found during excavations at Siberia’s Denisova Cave in 2016, is a palm-sized chunk belonging to the rear left-hand side of the brain cage. Apparently, the skull is extremely thick, like that previously seen in connection with other archaic humans, most obviously Homo erectus. No picture of the skull fragment has so far emerged into the public domain, although expect this as well as an official artistic reconstruction of what a Denisovan might have looked like in due course. In another presentation by population biologist Murray Cox of Massey University in Palmerston North, New Zealand, and molecular biologist Herawati Sudoyo of the Eijkman Institute for Molecular Biology in Jakarta, it was revealed how a new DNA study of the complete genomes of 161 people from 14 groups in Indonesia and Papua New Guinea shows that their earliest ancestors interbred with a local population of Denisovans as recently as 43,000 years ago. Moreover, that it was from them that these modern human groups inherited roughly 400 genes including an immune gene variant (TNFAIP3) and a gene involved in diet (WDFY2). More significant is that there is evidence also of some of these modern populations , especially those of Papua New Guinea, interbreeding with another, much later group of Denisovans . They possess genes slightly different from those of the earlier group of Denisovans, meaning that there might well have been three different types of Denisovans in existence at one time. 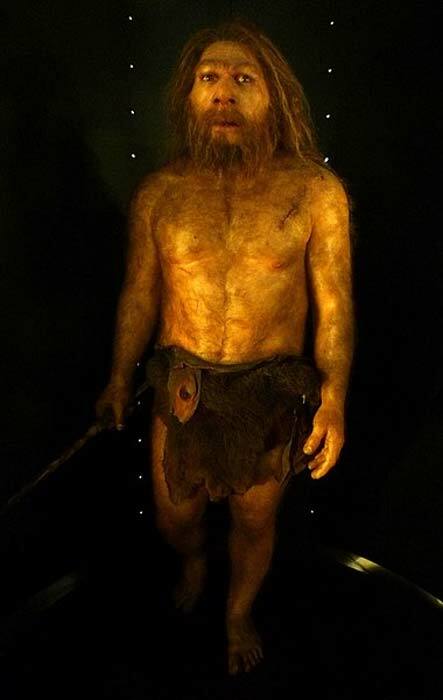 Type one, generally referred to as the Siberian Denisovans, whose remains have been found in the Denisova Cave and whose genes flourish today in modern populations in East Asia and North America, are now referred to as type D0, with the two groups that thrived in Island South East Asia, including Papua New Guinea, being designated D1 and D2. What is more incredible is that one of these groups (D1) might well have survived through until between 30,000 and 15,000 years ago, the suspected timeframe of their introgression with modern humans in that region . 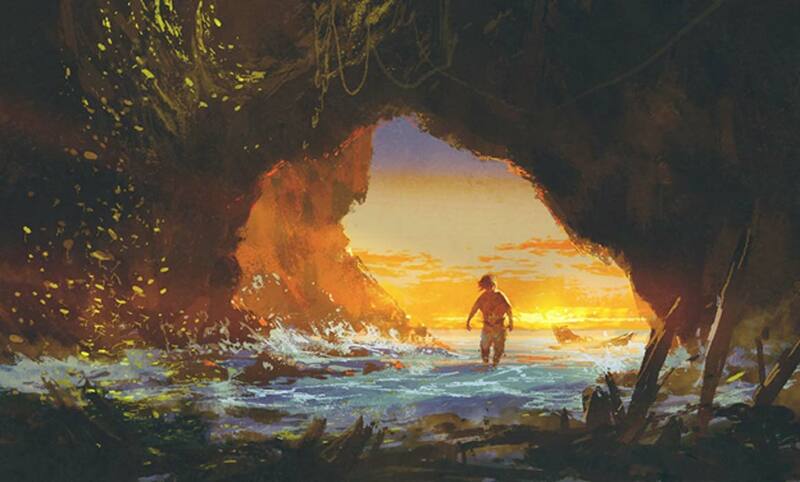 This new knowledge on the Island South East Asian Denisovans, who are known also as Australo-Denisovans or Sunda Denisovans, confirms evidence presented in a genetic study published in 2018 . This found that the genome of the Island South East Asian Denisovans appears so different to that of the Siberian Denisovans it is clear the two populations split from a common Denisovan ancestor as much as 363,000 years ago, the Denisovans themselves having split from their sister group, the Neanderthals , sometime between 380,000 and 470,000 years ago. They, in turn, had split from a common ancestor shared with modern humans ( Homo sapiens ) as much as 770,000 to 550,000 years ago. What this means is that the two basic types of Denisovans, one in Siberia (and arguably the Tibetan plateau) and the other in southeast Asia, Australia, and Oceania, should perhaps be classed as quite separate archaic populations, each with their own name. More crucial to confirm, however, is whether or not one branch of the Island Southeast Asian Denisovans did indeed survive through till as late as 30,000 to 15,000 years ago, as is proposed by Cox and Sudoyo in their study. It is a controversial claim, one that is seen as unlikely by Cosimo Posth of the Max Planck Institute for the Science of Human History in Jena, Germany. His view is that the evidence suggests a late mating with individuals of high Denisovan genes perhaps reflecting an encounter between a relatively isolated modern population of Denisovan hybrids and separate remote modern human societies. 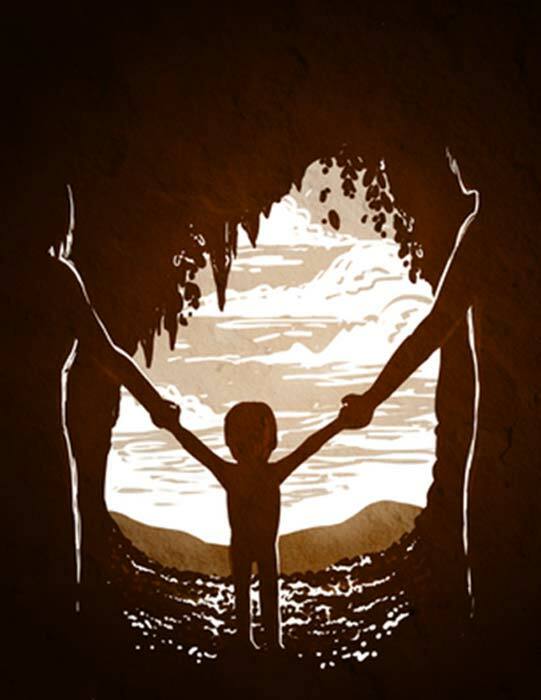 For him, modern humans mated with Denisovans, after which the modern populations diverged, enabling each branch to retain a different set of Denisovan genes. Sometime later, seemingly between 30,000 and 15,000 years ago, if Cox and Sudoyo are correct, the modern human societies reconnected, creating a new mix of Denisovan DNA. If, however, some Island Southeast Asian Denisovan groups did survive through till 15,000 years ago then it means they might well constitute the last surviving archaic human population to co-exist alongside modern humans, beating the Neanderthals by around 25,000 years and Homo erectus by around 10,000 years. They survived in small groups on Java through until around 25,000 years ago. The bigger question now is the impact both of the Siberian Denisovans and their sister group, or groups, in Island Southeast Asia on the rise of modern human societies, and the transfer from one to the other of technologies, cosmologies, artistic skills, and even of the rudiments of civilization. All these topics are explored in the new book Denisovan Origins: Göbekli Tepe, Hybrid Humans and the Genesis of the Giants of Ancient America, written by Dr. Greg Little and myself and published this September by Inner Traditions. We show how the Siberian Denisovans had a huge impact in the spread of Upper Paleolithic traditions, and through it the rise of civilization, both to the south and east of Siberia, and also to the west as far as the Atlantic coast of Europe, and perhaps even beyond this into the Americas. This is important since it is only from Siberia’s Denisova Cave that we have hard proof not only of their presence, but also, seemingly, of their immense sophistication, this being evidenced from archaeological finds such as the extraordinary Denisovan bracelet , at least two bone needles , implying the manufacture of tailored clothing; along with fragments of a whistle or flute , suggesting the invention of music, and the presence of an extremely advanced blade tool technology that would go on to inspire the standard tool kit of modern humans through till the Neolithic age. What is less clear, however, is the impact of Island South East Asian Denisovans on the emergence of the modern human societies in this region. Some might look towards the megalithic pyramid hill of Gudung Padang in Java, Indonesia, now thought to be as much as 25,000 years old, as well as the rock platform of Yonaguni, the westernmost island of Japan, which has been submerged for at least 10,000 years, as evidence of the former presence in Southeast Asia of advanced Denisovan groups. In addition to this, we have painted cave art on the Indonesian island of Sulawesi that is at least 40,000 years old , and evidence also from the Ryukyus, Australia and Remote Oceania suggesting the presence of significant sailing technologies as much as 35,000 years ago. All these locations support modern populations displaying anything up to 5 percent Denisovan ancestry. This alone indicates the former presence in the region either of Denisovans or their hybrid descendants. The earliest known depictions of sea-going vessels from this region come from the 20,000-year-old Bradshaw rock art site in Kimberley, Northwestern Australia. Thought to be at least 20,000 years old, and arguably as much as 50,000 years old, one example shows a boat with upturned ends and a rectangular rudder (see fig. 1 below). Horizontal striations can be discerned along its hull, suggesting a fibre construction. As many as 20 human figures are seen inside the boat, confirming its enormous size. Very clearly, the vessel’s high prow is meant to cut through large waves on open seas. Another example of an ocean-going vessel seen nearby shows as many as 29 people inside its hull. Fig. 1. The 20,000-year-old ocean-going vessel forming part of the Bradshaw rock art collection in Kimberly, Western Australia (after Grahame L. Walsh). As many as 20 human figures are seen within its hull (Image: © Andrew Collins). In addition to the representations of the canoe and high-prowed boat at the Bradshaw rock art site, there exist here a whole series of painted murals showing human figures wearing elaborate costumes and enormous headdresses. Others stand next to abstract anthropomorphs of enormous size. Among the art are highly stylized figures that seem to float alongside or transform into animals, above which are seen either celestial objects or otherworldly manifestations (see fig. 2). The immense sophistication of the Bradshaw rock art cannot be denied, and to know that it is as much as 50,000 years old is an extraordinary realization. Until we can absolutely confirm the physical presence of Denisovans or pronounced Denisovan-modern human hybrids in Island Southeast Asia, Australia and Oceania, these extraordinary questions are unlikely to be answered with any degree of certainty. Population biologist Murray Cox of Massey University in Palmerston North, New Zealand, and molecular biologist Herawati Sudoyo of the Eijkman Institute for Molecular Biology in Jakarta and their colleagues.